Up Town Threads a Kizmet boutique is an upscale specialty store offering moderately priced unique fashion and accessories for trendy women of all ages. 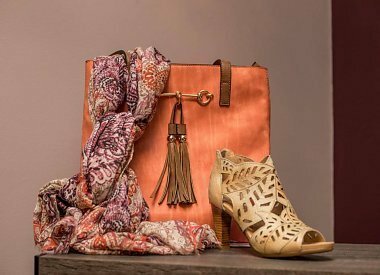 Our store is designed in a beautiful modern look, which showcases apparel, shoes, jewelry, scarves and various other accessories to perfection. Our reputation is highly known for our fun, friendly customer service and our unique, trendy items. Our knowledgeable sales staff has a creative eye to guide our customers into purchasing the perfect piece for any occasion. Whether it be a top for a casual dinner with friends, a fun pick me up outfit, a unique gift for a friend, or a dress for a special occasion, Up Town Threads a Kizmet Boutique has it all. Our shoes are the talk of the store and are unique, trendy, and comfortable. We strive to make an afternoon of shopping a fun-filled, stress-free, enjoyable experience. Our store is known for honest help in the decision making of purchases. We pride ourselves on the idea that if the right item is not in the store today we will happily call our customers at a later date for that perfect piece. Our inventory changes regularly and new items are showcased daily. Up Town Threads was started in 2006 and recently formed a partnership changing it to Up Town Threads a Kizmet Boutique. We now offer our customers increased inventory in all aspects of our store. We recently renovated the store to a modern city-chic look. Our feedback has been incredibly positive and our customers love the increased choices in manufacturers, styles, and types of inventory. Our goal is to become one of the most recognized boutiques for customer service and unique fashions at affordable prices. "THIS is my MOST favorite store. I have been shopping here since it opened and everything I have purchased is beyond great. I receive compliments on all of my clothing from here and tell people where it was purchased. The owner is fabulous, works to ensure"
"I can't say enough AWESOME things about UP TOWN THREADS!!! I LOVE this store!! The clothing & accessories Sue chooses is above what you will find in other stores. I have pieces that i have had for 8 years, they are still in style and in awesome condition." "I adore this store! It has an amazing selection of clothes, accessories, shoes and handbags. I always get complimented on everything I buy from this store, I just love the unique, fashionable selections. I highly recommend checking this place out. You"